Wisdom of Life. : Beauty without brain isn't complete. Some girls might have beauty but their brains are slow and not creative. Ching is a typical Chinese girl who works for her father's eating store which opens only in the night. Together with another lady friend while patronizing our dinner there, we noticed Ching looked prettier and sexier than before. She wasn't wearing her thick glasses, she had highlighted her well trimmed hair and her simple clothing was presentable. As she was serving our table, i smiled to tell her that she was beautiful and gorgeous. With a shy gesture, she said, "No lah! Where got! I am not pretty lah!" I was certain by looking at her eyes, she was actually very happy hearing this compliment. Just that she didn't know how to receive my admiration. Next! I asked her whether she knows how to play football. Quickly she remarked, "Where got time lah!" The lady friend sitting besides me was laughing, because she was sharp to understand the implication of playing football. Staring at the confused Ching, i explained to her... you don't need to play football to understand the game, coz when someone passes a ball to you, you should receive the ball whole heartily. When we said you are pretty, we are actually passing a ball to you. You should accept the compliment without argument and hesitation. Receive the ball happily by saying 'Thank you' plus a sweet smile and that will make you more complete. Ching is a pretty young innocent girl and sad no one taught her the right manner. 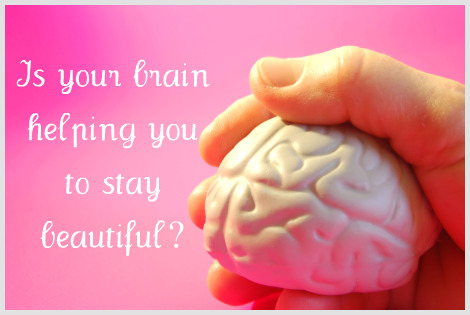 Beauty without the brain might not be truly beautiful.